First Kamehameha class reunites, 1916. 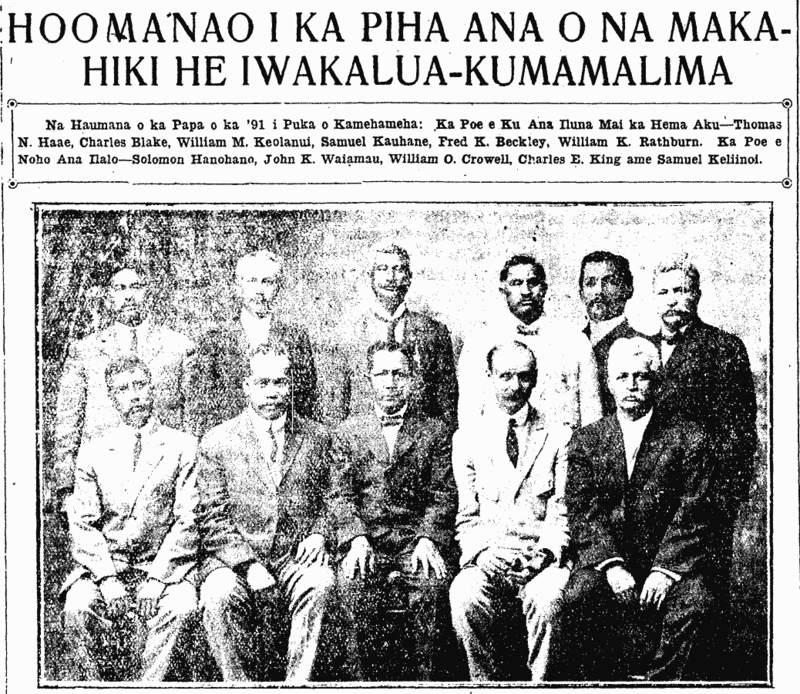 Students of the ’91 Graduate Class of Kamehameha: Those standing from the Left—Thomas N. Haae, Charles Blake, William M. Keolanui, Samuel Kauhane, Fred K. Beckley, William K. Rathburn. 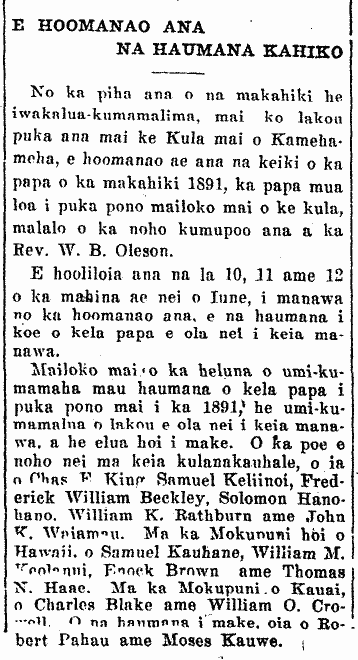 Those seated—Solomon Hanohano, John K. Waiamau, William O. Crowell, Charles E. King, and Samuel Keliinoi. [There are many priceless articles on this reunion; this includes the one that accompanies the picture which can be found here from pages 1 & 3. Ka Nupepa Kuokoa, Buke LIV, Helu 24, Aoao 3. Iune 16, 1916.